Liberty Street, in front of the SOS Recovery Community Center (SOS RCC) in Rochester will be rocking with a family friendly block party on Sunday, August 12th from noon to 4 p.m. during the “SOS Rocks The Block Party” hosted by SOS Recovery Community Organization (SOS RCO). Rain date will be August 19th. 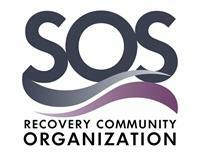 In addition to celebrating recovery through a day of fun, food and games, SOS Rocks the Block Party, will also be a place where area residents can connect to other important community resources, which will have informational tables at the event. Peer-recovery support services are a critical component in supporting individuals who have or are struggling with alcohol and substance misuse as well as their family members and loved ones. This event highlights the faces and voices of our recovery community in Strafford County for the entire community to come see that recovery is possible and happening in Rochester, and enjoy a family friendly event to connect and have some fun. The Rochester SOS RCC is housed in First Church Congregational at 63 S. Main St. in Rochester. The event will be held on Liberty Street, the one-way street where the entrance to the Rochester SOS RCC is located. RCO is to reduce stigma and harm associated with substance misuse by providing a safe space and peer based supports for people in all stages of recovery. For more information about SOS RCO call (603) 841-2350 or go to www.sosrco.org.